In General > s.a. cosmic microwave background [including history, missions]. c(θ):= \(\langle(\Delta T/T)\)(n1) \((\Delta T/T)\)(n2)\(\rangle\)st avg = (1/4π) ∑ l cl Pl(cosθ) . * Peaks: The "spectrum'' cl is expected to have peaks as a function of l, whose position, height and shape give us information on physical parameters (baryon density, Hubble constant, topological defects vs inflation, etc); The position of the first peak indicates that the universe is spatially flat. @ Books, reviews: Rowan-Robinson 93; Durrer HPA(96)ap, ap/01-talk; Page ap/97-proc, ap/99-proc; Lasenby CQG(02); Bersanelli et al RNC(02); White & Cohn AJP(02)feb [RL]; Subramanian CS(05)ap/04; Martínez & Vielva ap/05-proc; Bouchet et al ap/05-proc; Souradeep Pra(06)ap-proc [cosmology]; Challinor & Peiris AIP(09)-a0903; Challinor a1210-proc; Carlstrom PT-a1805 [and particle physics]. @ General references: news pn(92)apr; Smoot & Scott ap/96, ap/97; Bennett et al PT(97)nov; Wright ap/03-proc; Eriksen et al ApJ(04)ap/03 [asymmetries]; Magueijo & Sorkin MNRAS(07)ap/06 [Occam's razor and WMAP data]; Bernui et al PLA(06) [and non-extensivity]; Eisenstein & Bennett PT(08)apr; Hanson & Lewis PRD(09) [anisotropy estimators]; Abramo & Pereira AiA(10)-a1002 [gaussianity, homogeneity and isotropy]; news pw(13)mar, sn(18)jul [Planck results]. @ Theory: Dodelson ap/97-TX18, IJMPA(00)hp/99-conf; Hu et al PRD(98) [in FLRW models]; Durrer JPS(01)ap; Trotta PhD(04)ap; Giovannini IJMPD(05)ap/04 [tools]; Bartolo et al JCAP(06), JCAP(07), ap/07-ln [at second order]; Weinberg PRD(06)ap [no truncation approach]; Zibin & Scott PRD(08)-a0808 [gauge issues]; Pontzen PRD(09)-a0901, Sung et al MNRAS(10)-a1004, Clarkson & Regis JCAP(11) [in anisotropic models]; López-Corredoira IJMPD(13)-a1303 [physical interpretation of peaks in the power spectrum]; Benetti et al JCAP(13)-a1303 [indications of new physics in WMAP-9 data]. @ Dipole: Lineweaver ap/96-proc, et al ApJ(96); Kamionkowski & Knox PRD(03); > s.a. standard model. 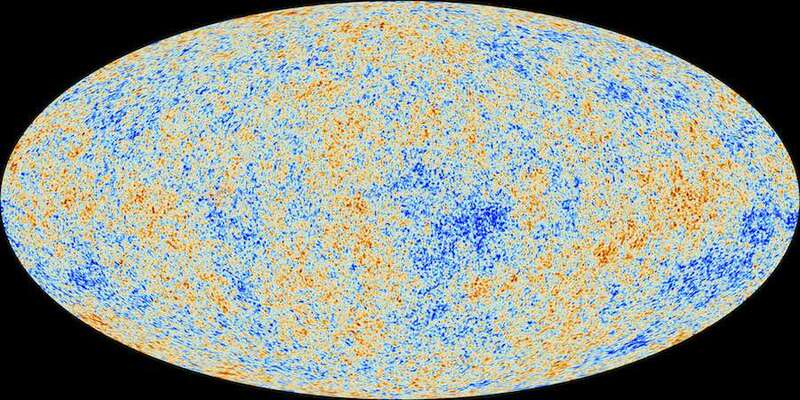 Related topics: see cmb spatial features; brane cosmology; inflationary phenomenology; cosmological tests of gravity. Other Effects and Special Topics > s.a. dark matter [indirect evidence]; topological defects [domain wall networks]. * Spectrum and non-Gaussianities: The CMB temperature anisotropies are almost Gaussian, and well described by the two-point correlation function in momentum space or power spectrum; Large non-Gaussianity and running index are strongly disfavored, but small deviations are described by the three-point function in momentum space or bispectrum. * Lensing: From cmb statistical properties, one can determine that it has been gravitationally distorted without knowing where the distorting structures are. @ Analysis: Lessner GRG(04) [non-acoustic peaks]; Land & Magueijo MNRAS(05)ap/04 [independent components]; Liu & Li a0806/ApJ [errors in WMAP maps]; Bernui PRD(08)-a0809 [North-South asymmetry]; Herranz & Vielva a0909 [compact-source detection]; Liu & Li SCPMA(10)-a0911 [lack of power at low l]; Efstathiou et al MNRAS(10)-a0911 [large-angle correlations consistent with ΛCDM model]; Hamann et al JCAP(10)-a0912; Komatsu et al ApJS(11)-a1001 [WMAP 7-year data]; Aurich et al CQG(10) [hot-pixel contamination]; Dickinson PoS-a1212 [interferometry]; Bennett et al ApJS(13)-a1212 [WMAP 9-year data]; Hazra & Shafieloo PRD(14)-a1308 [consistency between Planck and WMAP]. @ Non-Gaussianities: Kung PRD(93) [and Sachs-Wolfe effect]; Creminelli et al JCAP(06) [bounds from WMAP]; Bernui et al EPL(07)ap [and non-extensive statistical mechanics]; Jeong & Smoot a0710 [WMAP3 data]; McEwen et al MNRAS(08)-a0803 [WMAP5 data]; Martínez-González a0805-proc; Yadav & Wandelt AiA(10)-a1006 [rev]; Fergusson et al JCAP(12)-a1006, Pettinari PhD(16)-a1405 [bispectrum]; Lacasa a1406-PhD [and extragalactic foregrounds]. @ And primordial magnetic fields: Paoletti et al MNRAS(09)-a0811; Kunze PRD(11)-a1007; Hortúa & Castañeda IAU(14)-a1408; > s.a. magnetism. @ And primordial gravitational waves: Saito et al JCAP(08)-a0705; Baskaran et al a1004-MG12; dos Santos a1202 [cmb temperature shift]; Zhao et al a1403 [hint]; Ota et al JCAP(14)-a1406 [μ distorsion]; Shandera et al a1903. @ Related topics: Sakellariadou HPA(96)ap [and inflation vs topological defects]; Corasaniti & Melchiorri PRD(08)-a0711 [acoustic waves]; Fosalba & Doré PRD(07) [correlation with peculiar velocities]; Bunn & Bourdon PRD(08)-a0808 [large-scale power deficit]; Scodeller et al PRD(09)-a0901 [from acausal scaling seeds]; Kanzaki et al PTP(10)-a0907 [effects of dark-matter annihilation]; Hernández-Monteagudo A&A(10)-a0909 [cross correlation with NVSS]; Kim & Naselsky ApJL(10)-a1008 [tension between even and odd multipole data]; Martin & Vennin PRD(16)-a1510 [origin]; > s.a. gravitational constant [variation]; parity [violation]; sound; types of lensing. @ Different interpretations: Cover ap/06 [image reconstruction]. And Quantum Gravity > s.a. cmb; lorentz-violation phenomenology; quantum-gravity phenomenology. @ General references: Hamada et al PRD(06)ap, PTP(07)-a0705 [quantum conformal gravity]; Queisser et al CQG(07); Powell & Kinney PRD(07) [primordial power spectrum]; Groeneboom & Elgarøy PRD(08)-a0711; news an(08)dec [before the Big Bang]; Kiefer & Krämer PRL(12)-a1103, IJMPD(12)-a1205-GRF [and primordial power spectrum]; Bini et al PRD(13)-a1303 [from a semiclassical expansion of the Wheeler-DeWitt equation]; Kraemer a1303-MG13; Cai & Wang PLB(14)-a1404; Bini & Esposito a1506-MG14; de Alwis a1811 [from Hartle-Hawking and tunneling (Vilenkin) wave functions]. @ In lqc: Barrau a0911-MG12 [lqg]; Grain a1206-proc; Agulló PRD(15)-a1507 [and the anomalous power asymmetry].